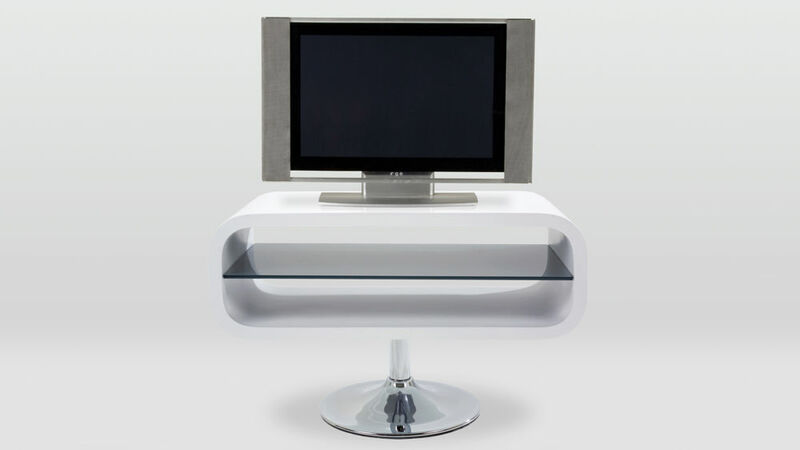 The Petra TV Stand is a thoroughly modern piece of furniture. 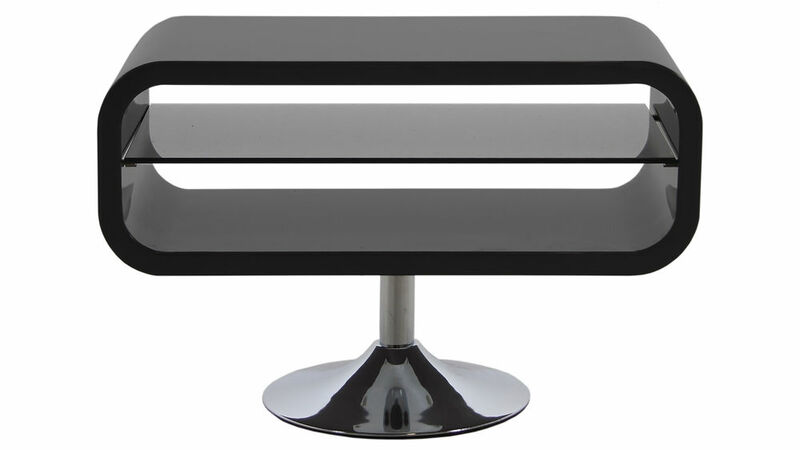 The funky chrome base supports a smooth white lozenge-shaped unit with a grey tempered glass shelf in the middle. The Petra is incredibly versatile, making it suitable for any room. Why not consider filling that empty space in your living room or study with a stylish and practical TV stand like the Petra! The Petra TV Stand is a more compact design of TV unit, making it ideal for a small nook in your living room or perhaps in your study. 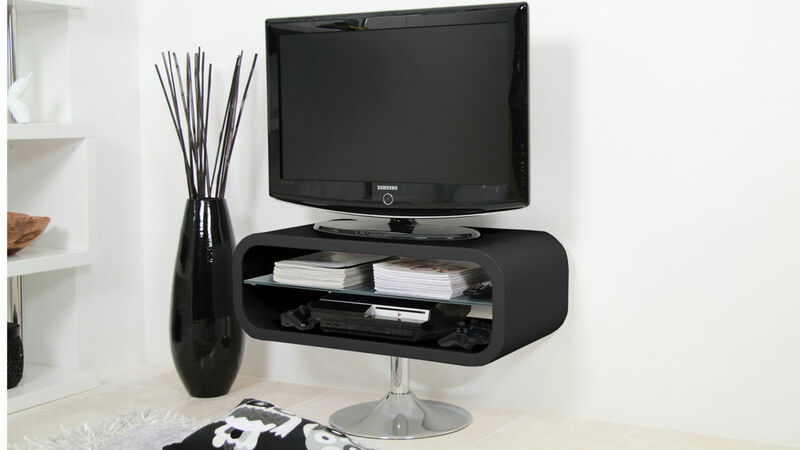 This unit is ideal if you are a little pushed for space, or if you don't want a TV stand that takes up too much room. The rounded shape of the units storage compartment ties in beautifully with the rounded pedestal base, creating a very sleek and coordinated look. Pedestal bases are great space savers, so you'll really be able to make the most of the area you have avalible. The trumpet shaped pedestal base of this TV stand is finished in a shiny chrome. This design of base and highly contemporary finish will not only bring a modern flare to your living space, but will also keep the area looking very light and open, creating the look and feel of more room. 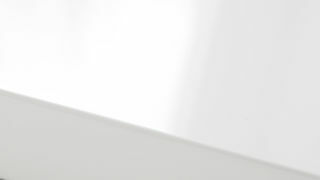 The shelf of the Petra TV Stand is made from tempered glass. This means the shelf is incredibly strong, safe and durable, so you know you are getting a unit that has been built to last. The maximum load for this Petra TV Stand is 35kg, so consider the size and weight of your television and what items you are thinking of placing on the shelf. 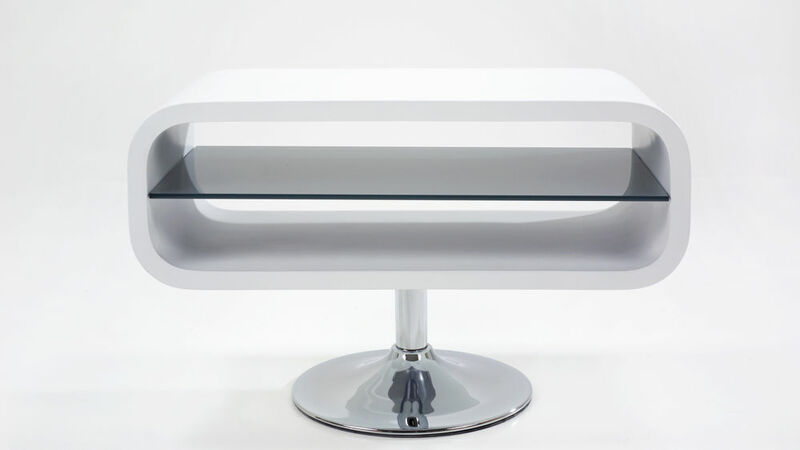 If you think you might need a bigger unit, our Alessia White Gloss TV Table also has a stylish glass shelf, but is bigger in size and has much more storage space.